Fine Gael TD and Chairman of the Fine Gael Parliamentary Party, Martin Heydon, has said that our relationships in Europe will continue to be critical as we head into phase 2 of the negotiations. 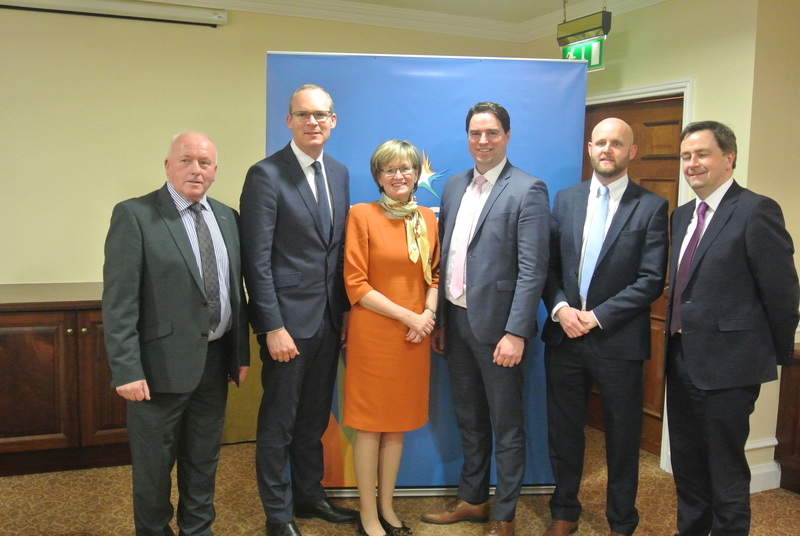 He was speaking following a public meeting on Brexit held in the The Heritage Killenard which was address by a panel of experienced speakers including Minister Simon Coveney, MEP Mairead McGuinness, IFA Director General Damian McDonald, Local Businessman Ciaran Finane and Alan Dukes. “As a TD who will have areas of Laois in my constituency at the next general election I was pleased to see such a large crowd in Killenard from both Laois and Kildare. In conjunction with Cllr Tom Mulhall, I wanted to bring high quality speakers to the Laois venue to discuss this topical issue and allow local residents have their say. “Cllr Tom Mulhall welcomed the speakers and attendees to Laois. The large crowd in attendance, many from agricultural backgrounds listened as Damian McDonald and Ciaran Finane set out the difficulties facing both farmers and businesses both during the negotiations and ultimately after Brexit itself. The current uncertainty regarding our future trading relationship with Britain is the cause of much of this uncertainty. “In my role as Chairman of the Fine Gael party, I have seen at first hand the strength we gain from our relationships with colleagues in the EPP grouping who hold critical positions in the parliament, including chief negotiator Michel Barnier. While we achieved our goals in phase 1 these relationships will be critical as negotiations head into phase 2. “Local MEP Mairead McGuinness, who also serves as first Vice President of the European Parliament also emphasised the good relationships that have been forged through her role as she noted that she still did not know for sure what outcome the British wanted in terms of future trade arrangements.